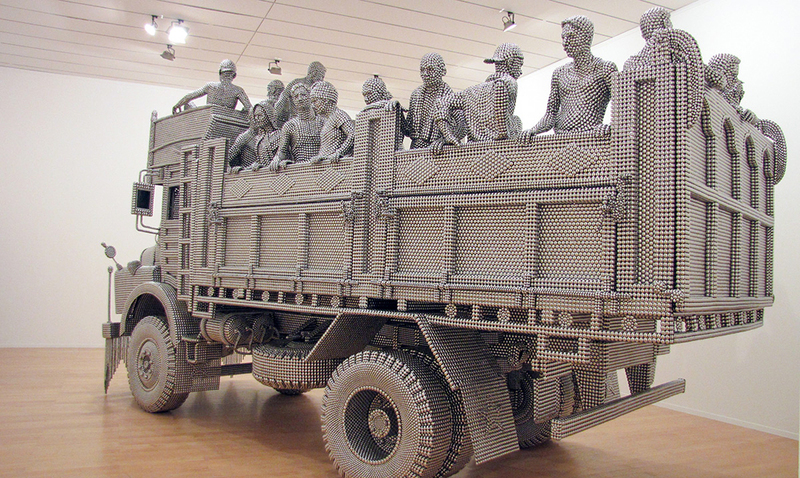 Transit is a 2010 sculpture by Mumbai-based artist Valay Shende depicting a life-size work truck that carries figures of 22 people. 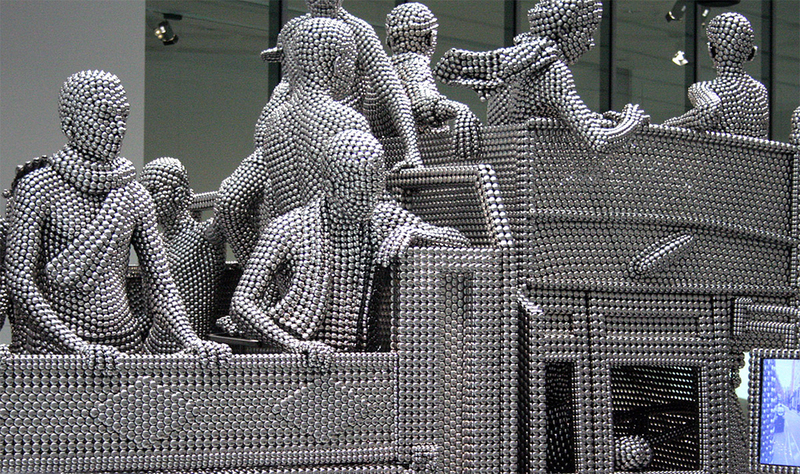 Created over a period of 18 months, the piece was constructed from thousands of reflective stainless steel disks that have been individually spot welded together. 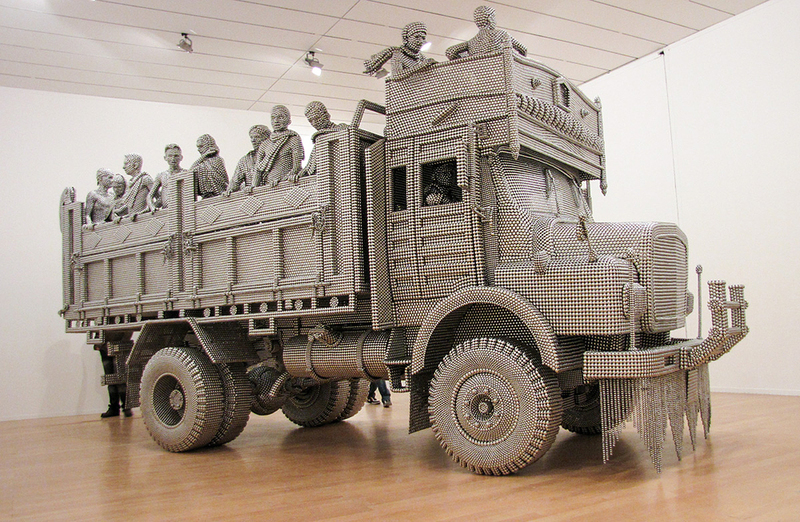 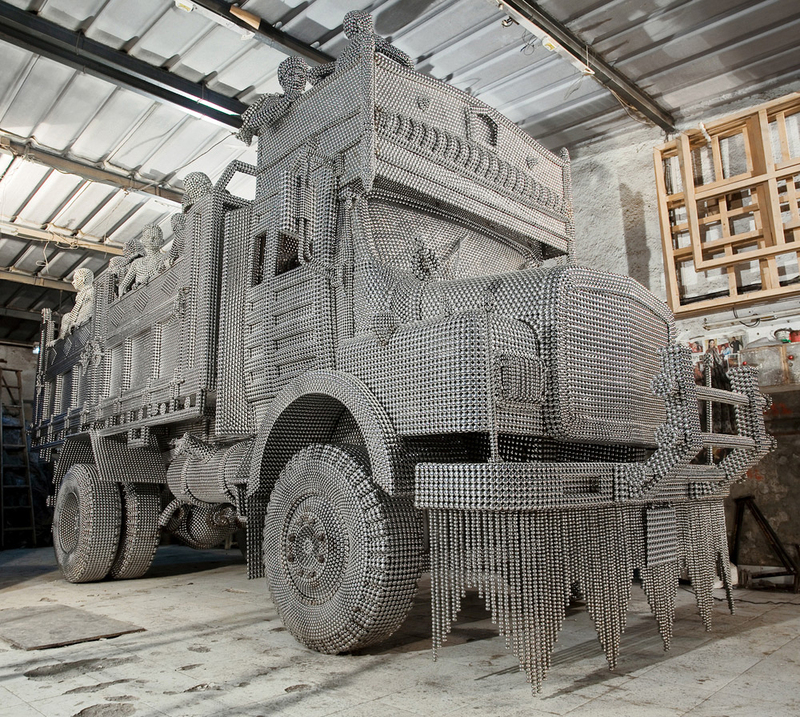 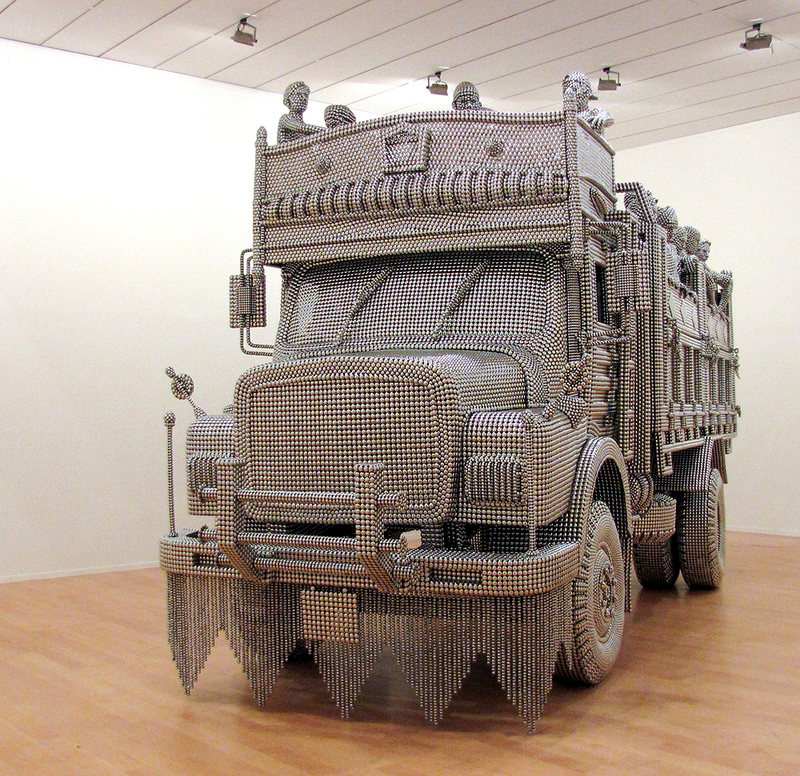 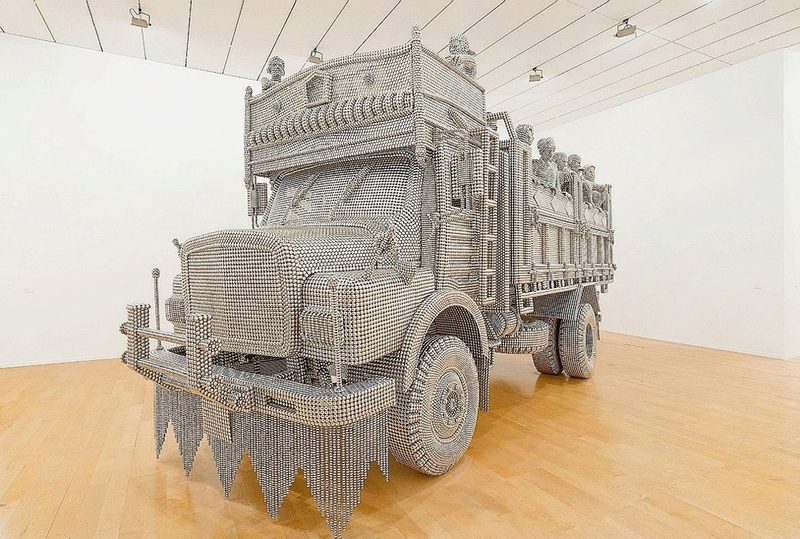 Shende conceived of Transit as commentary on a dramatic rash of farmer sucides in India over the last decade. 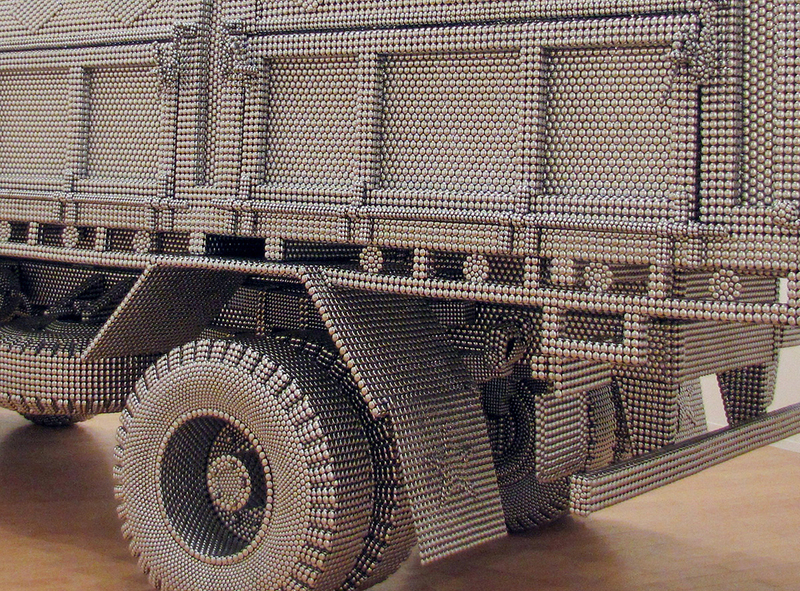 The truck’s rearview mirrors display video footage of roadways in London, Mumbai and Dubai, as if the vehicle is moving from the perspective of the driver’s seat but in reality it remains stationary. 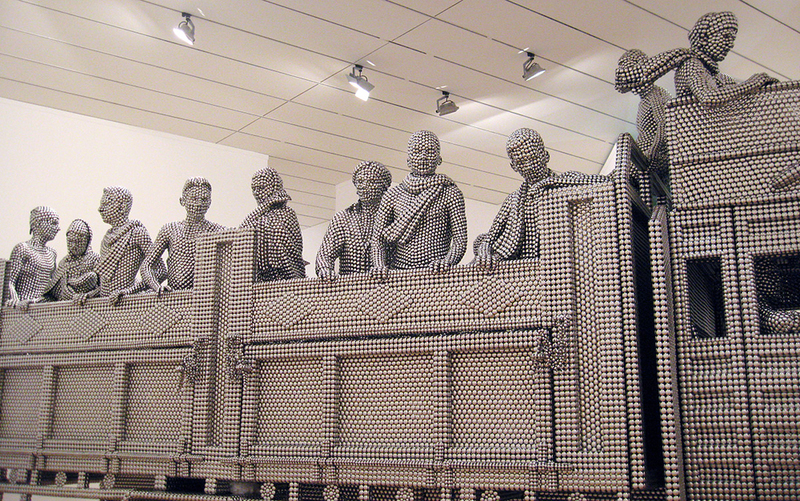 Transit is currently on view at the Mumbai City Museum.